A 3D Printed Alternative to Traditional Tattoos « Adafruit Industries – Makers, hackers, artists, designers and engineers! Project “Metamorphosis” explores the feasibility of using 3D printing technology to develop a tattoo design which is not only used for decorative purposes, but engages the tactile sense as well. 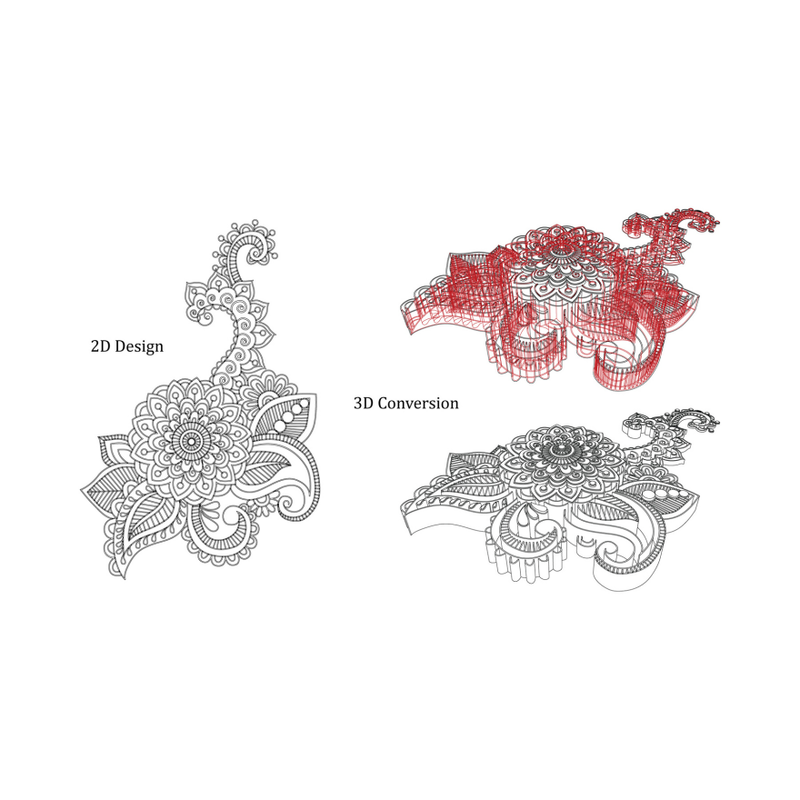 The concept of a three-dimensional “tattoo” is based on the possibility to transform or “grow” any 2D design into a 3D object using computer software. A 3D printed “tattoo” is a three-dimensional, physical representation of a certain 2D design. The end result is a bespoke piece of body decoration which is flexible and can be easily applied to the surface of skin using bio-friendly, silicone based adhesives. The positive relief effect achieved after application communicates essential design information through both visual and tactile stimulation. The intent of this project was to consider how technological developments could impact populations of people within construct social scenarios. This led to the introduction of a unique and innovative design service which offers consumers bespoke products for body modification whose final form is “open” and liable to change both physically and digitally. This project and brand were developed as a final year assignment for the BA (Hons) Product Design course at the University of Lincoln, United Kingdom. 3D printing custom body decoration is a less permanent and non-invasive alternative to conventional tattoos, offering a new level of opportunities for self-expression and transformation of the human form.